We’ve tried a bunch of different setups for WiFi access aboard and have not found one better than the Ubiquiti Bullet 2 HP. The Bullet is about 6″ long and about 1 1/2″ in diameter and sports a type “N” RF connector on one end and CAT-5 connector on the other. 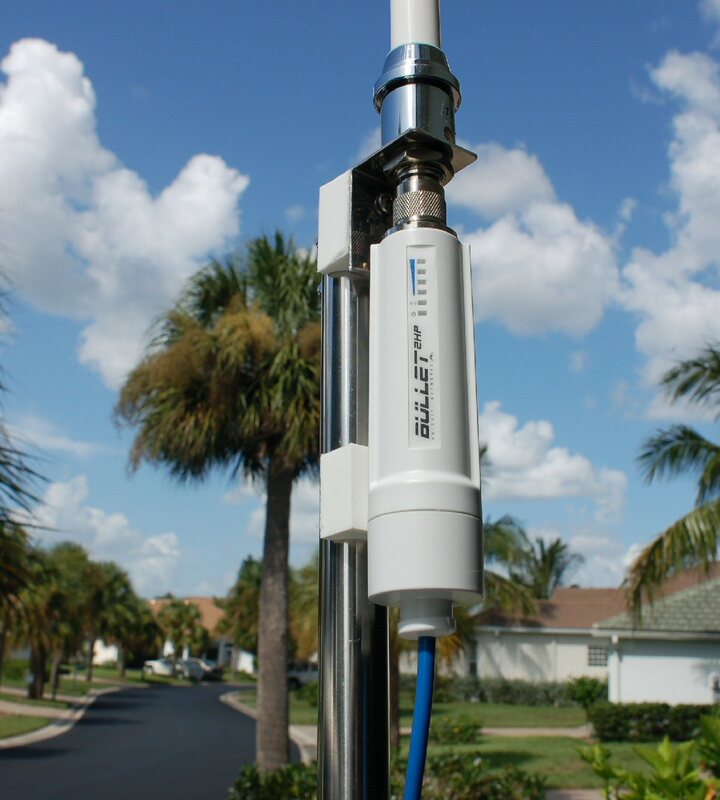 The “N” connector mounts directly to your choice of antennas, we’ve used 8 and 11dbi omni directional antennas and have a 21dbi directional antenna for those times when you just have to have connectivity. The Bullet is powered from the 12 volt boat supply via 2 unused cable pairs in the CAT-5 cable and is easily setup via a web based interface utility. We’ve included a wireless Router in our setup so that we can share Internet access with any wireless device on board or with friends in the anchorage. Since initially posting this information Ubiquiti has discontinued the “HP” radio and is now making the “M” series radio. The Bullet M2 HP is the same grade radio with some upgraded features. 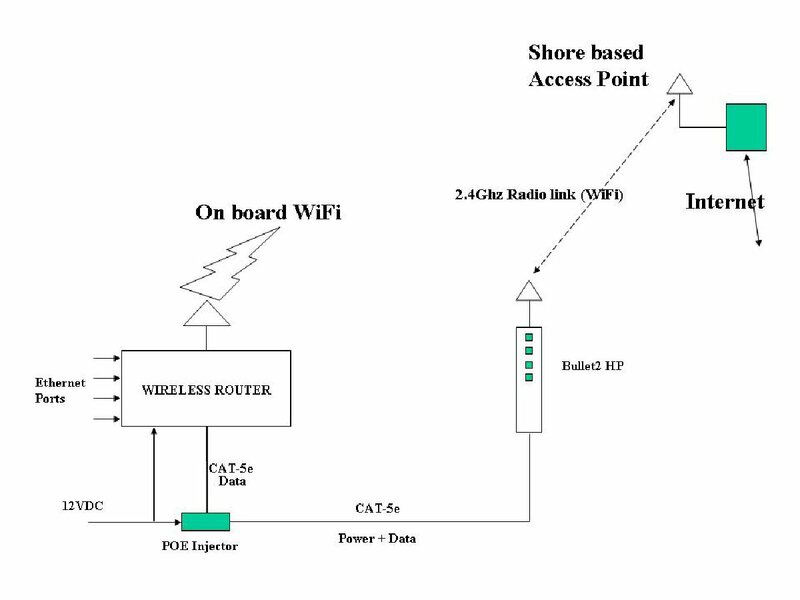 Diagram of our on board Wifi system. The Bullet/Antenna is mounted on a 1″ stainless steel pole attached to the Dinghy Davits. A CAT-5e cable is then routed down to the Navstation and connected to the power over ethernet (POE) injector. Another CAT-5e cable is connected to the on board Router which provides wired connectivity to our NAV PC and also wireless internet access on the boat and in the surrounding anchorage. The POE injector provides 12 volts DC from the ship house supply (white cable on the right) to the Bullet (cable on the left), and data to the Router (blue cable on the right). This image shows the Bullet and our wireless Router. 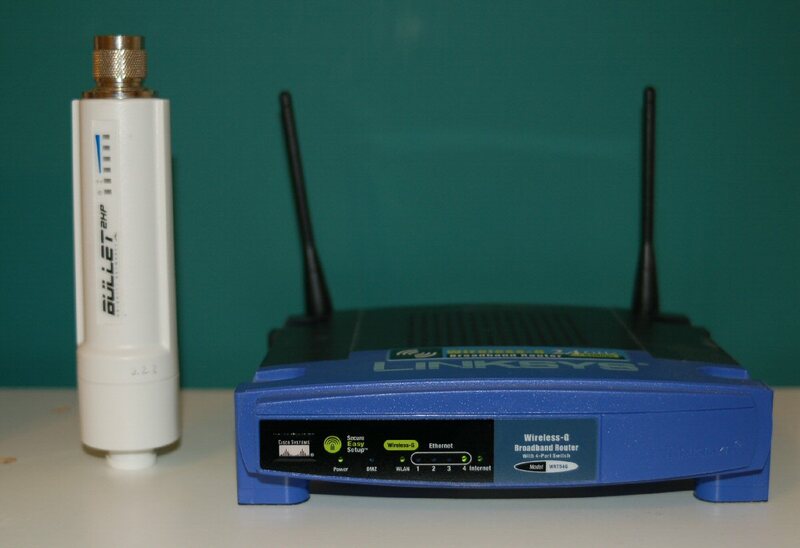 The router is hardwired to our ships navigation computer and the wireless portion provides access to devices aboard or nearby. 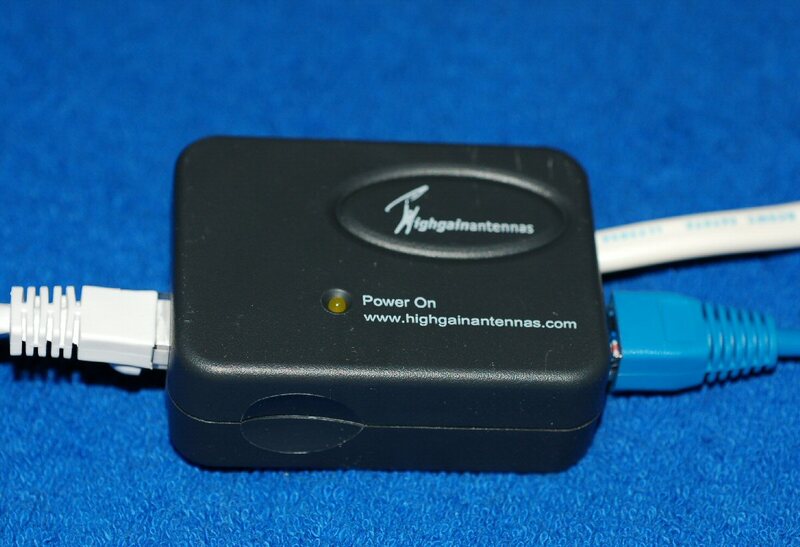 As with the Bullet, the router is also powered directly from the ships 12 volt DC supply. Image of the Bullet attached to the 8dbi omnidirectional antenna and the mount. Another option for mounting the system is to use the Kato backstay GPS mount! The attached Setup Guide describes how to configure the Bullet for use with your computer. Make sure that you obtain and apply the latest Bullet Firmware (802.11 a/b/g) from the Ubiquiti website. Sources for these products change, as does technology so I’ve no longer listed sources. If you want a completely setup and configured system contact Bob at Island Time PC.